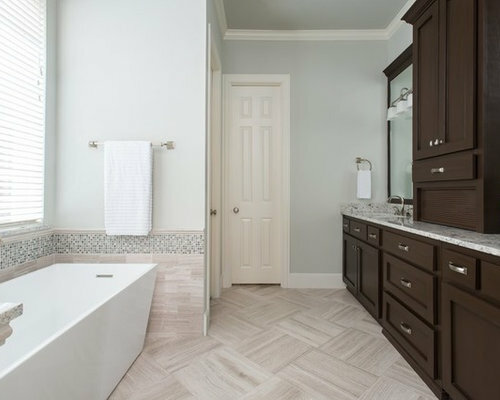 Transitional design and cool colors evoke a relaxing, spa feel to this master bath haven. Vein Cut Limestone flooring provides linear visual interest on the flooring. 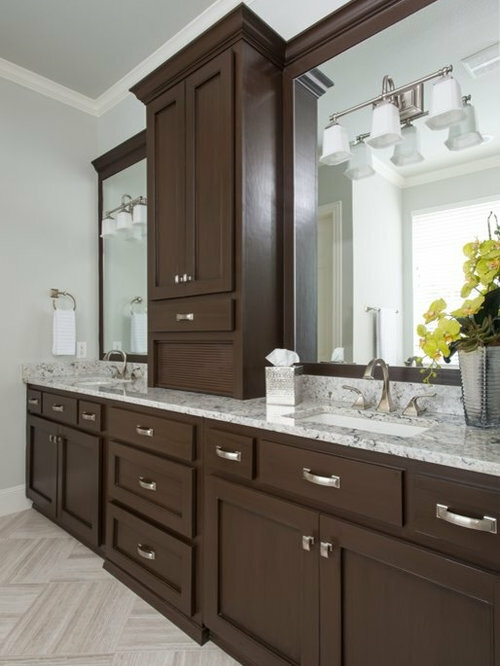 Custom cabinetry and trim incorporates a storage tower, a hidden spot for electric items and streamlines the vanity mirrors. 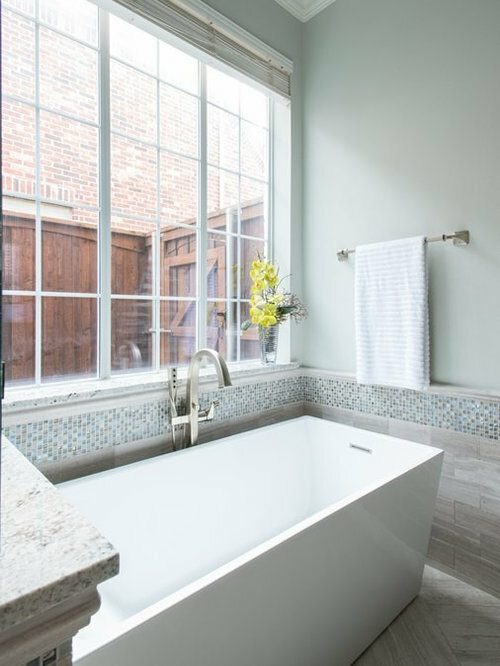 A contemporary and sleek soaking tub with floor mounted tub filler. 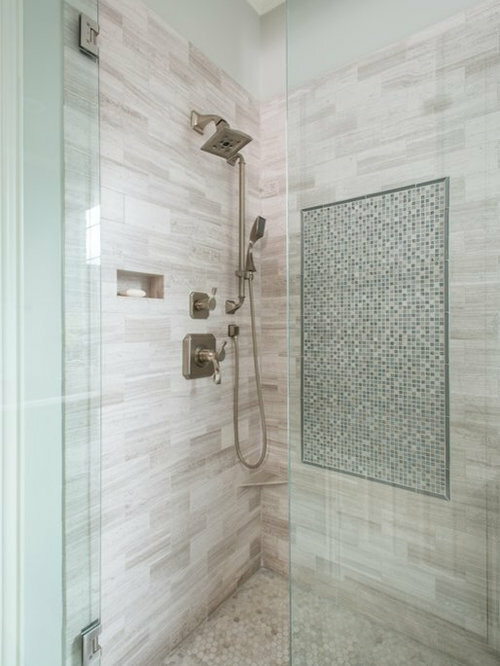 Stationary head and hand shower add function while the glass tile feature amidst the vein cut limestone create beauty. 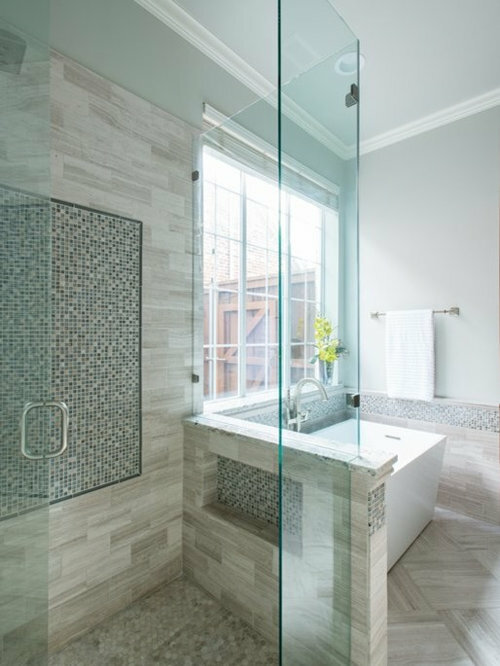 Frameless enclosure allows the bathroom to stay open and feeling spacious. 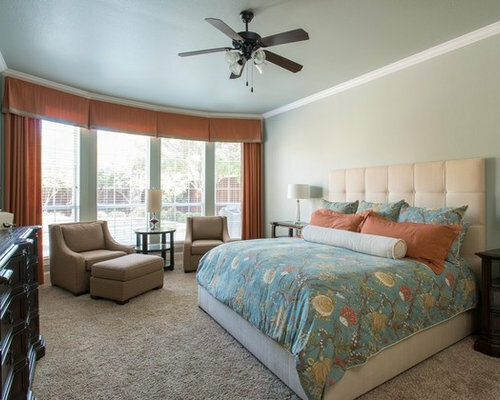 Master bedroom offers complementary color to the bath, making it a cohesive suite. Sitting area and blackout drapery make this a complete retreat!